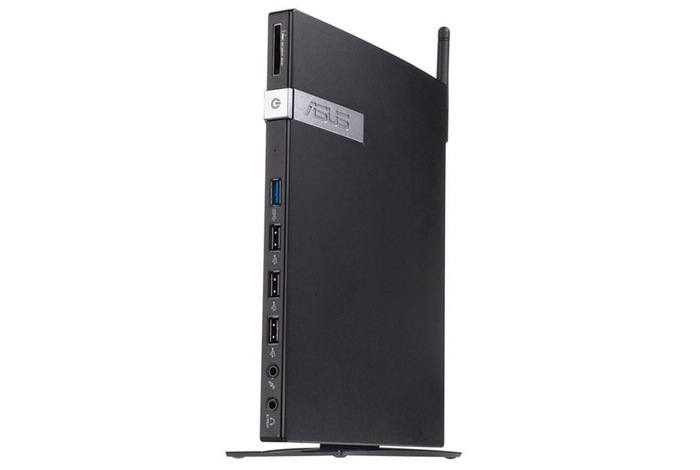 Asus has this week launched a new addition to their range of desktop mini PCs, in the form of the newly available Asus Eee Box EB1036. The Asus Eee Box EB1036 is powered by an Intel Celeron J1900 offering user a 2 GHz 64-bit, quad-core Bay Trail processor supported by 688 MHz Intel HD graphics. Other features of the new Asus Eee Box EB1036 include 2GB of RAM as well as a 320GB hard drive all running Microsoft’s latest Windows 8.1 Pro 64-bit operating system. The mini Asus PC system is also capable of supporting dual monitor setups and is capable of being upgraded with a number of additional options to suit your budget and requirements. Ports and connections on the mini desktop PC include 3 x USB 2.0 ports, 1 x USB 3.0 port, 1 x COM port, 1 x Gigabit Ethernet. Together with wireless connectivity provided 802.11n support and a handy SD card reader. For more information on the new Asus Eee Box EB1036 jump over to the Asus website for details, options and specifications.